T he fast-changing business world of today is far different from just a few years ago. Success in today's marketplace requires new leadership techniques, new thinking, and an eye on the future . . . . 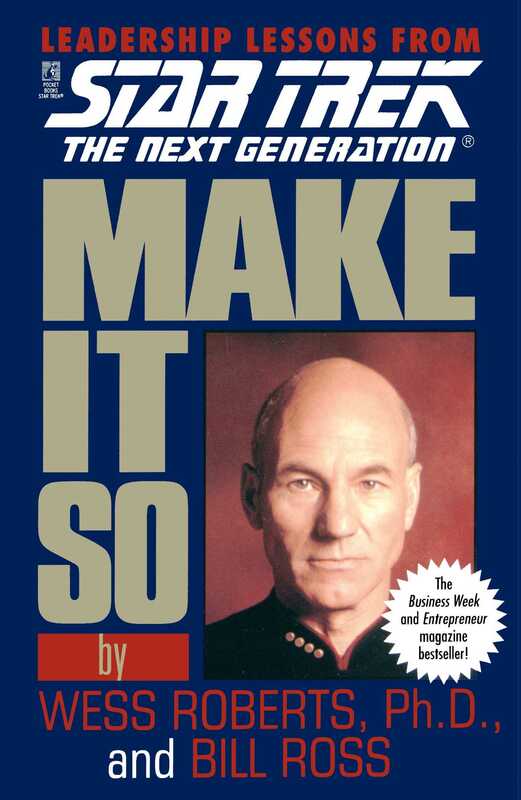 In Make It So: Leadership Lessons from Star Trek: The Next Generation&reg, Wess Roberts and coauthor Bill Ross take their inspiration from today's most striking and most popular vision of the future -- Star Trek -- an unprecedented television, feature film and publishing phenomenon. From the top-rated television series Star Trek: The Next Generation, Roberts and Ross find a new symbol for successful leadership: Captain Jean-Luc Picard. As entertaining as it is useful, Make It So captures the mythos of Star Trek: The Next Generation as it delivers dramatically rich lessons on leadership, including the importance of the ability to focus on a single "mission," effective communication, teamwork, honor . . . and other important concepts. The examples are taken from the on-screen adventures of Captain Picard and the Starship EnterpriseTM, but the lessons and the benefits are real -- and can be applied to everyday situations where the goal is the kind of high-performance organization embodied by the crew of the U.S.S. EnterpriseTM 1701-D.
Sure to appeal to Star Trek enthusiasts and serious students of leadership alike, Make It So is the most exciting business book on the shelves -- the one book that shows the future of modern leadership while giving managers the tools they need for success today! Bill Ross is the author of Hey, That’s Not What the Bible Says! and Hey! That’s Not What the Bible Says, Too! He is also the illustrator for the Mr. Henry’s Wild and Wacky products. He lives in Nashville with his wife and two kids.